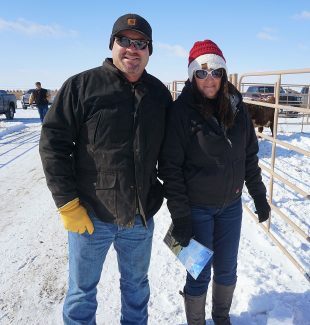 Leesman Ranch, South Dakota, was the volume purchaser of Hereford bulls. Briggs Ranch of Wyoming was a volume buyer of both Hereford and Limousin bulls. 40 Limousin and LimFlex Bulls – $3,520. 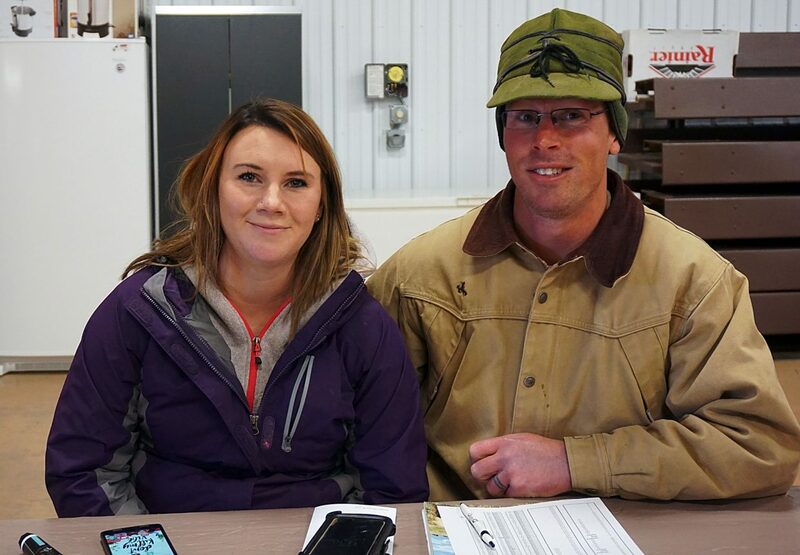 Bar JZ Ranches of Holabird, South Dakota hosted their 69th annual production sale. The Bar JZ program seeks to offer calving ease bulls that grow well and maintain superior carcass traits. All the sale bulls had been tested for the homozygous polled and homozygous black traits where applicable. Those bulls were well received. By raising Polled Hereford, Limousin, and Lim-Flex cattle, the Zilverbergs produce bulls and females to meet the needs of many crossbreeding systems. Lot 52. $10,000. Bar JZ Cornerstone 347E. A homozygous polled April 11, 2017, son of Bar JZ Cornerstone 627C and out of Bar JZ Tappen 361C ET, an On Target daughter to Hansmeier and Son, Inc., South Dakota. Lot 41. $7,750. Bar JZ Freedom 289E. A homozygous polled March 24, 2017, son of R Independence 4430 and out of Bar JZ Hope 831A ET, a Trust daughter, to Logterman Cattle, Nebraska. Lot 48. $7,750. Bar JZ Bravo 319E. A polled March 30, 2017, son of Frenzen Bar JZ Bruiser B30 and out of Bar JZ Hope 243B, a Trust daughter, to Thorstenson Hereford Ranch, South Dakota. Lot 6. $7,000. Bar JZ Buccaneer 210E. A homozygous polled March 11, 2017, son of Frenzen Bar JZ Bruiser B30 and out of Bar JZ Fern 531Y, a Master One Way daughter, to Semex, Ontario, Canada. Lot 20. $7,000. Bar JZ Shine On 237E. A homozygous polled March 16, 2017, son of Bar JZ Sleep On 738C and out of Bar JZ Rhapsody 996W, a NJW Remedy daughter, to Travis Fink, South Dakota. Lot 67. $6,000. Bar JZ Ivy 608D. A March 11, 2017, Ideal X2096 daughter and out a Homegrown 8Y dam, bred to Mohican Excede, to Mohican West, Montana. Lot 145. $5,750. Bar JZ Magistrate 354E. An April 24, 2017, homo polled, het black, 51 percent LimFlex son of Bar JZ Magistrate 713Y and out of an Optimizer 859X daughter to Scott Gangle, South Dakota. Lot 129. $5,500. Bar JZ Amazing Bull 280E. A March 23, 2017, homo polled, red, 100 percent Limousin son of Wulfs Amazing Bull and out of a Justice granddaughter, to Roger Potter, North Dakota. Lot 118. $5250. Bar JZ Converse 253E. A March 18, 2017, homo polled, homo black, 65 percent LimFlex son of LVLS Converse and out of a LVLS You Da Man daughter to Lee Kleinschmidt, South Dakota. Volume buyers were Raleigh and Leigh Leesman, Justin Briggs, and Schulte Farms. Besides South Dakota cattle sold into North Dakota, Montana, Wyoming, Nebraska, Kansas, Iowa, Minnesota, Wisconsin, Texas, and Canada.